The Packers earned a statement win today, proving that the Minnesota Vikings have a lot of work to do by defeating them in their house 30-13. The defense, which had been struggling through a three-game losing streak, sacked Teddy Bridgewater six times and held Adrian Peterson to 45 yards. When a defensive unit steps up to the level that this one did today, it is up to the quarterback to realize that and elevate the team to a win. Aaron Rodgers did just that, thanks in large part to the resurgence of Eddie Lacy. 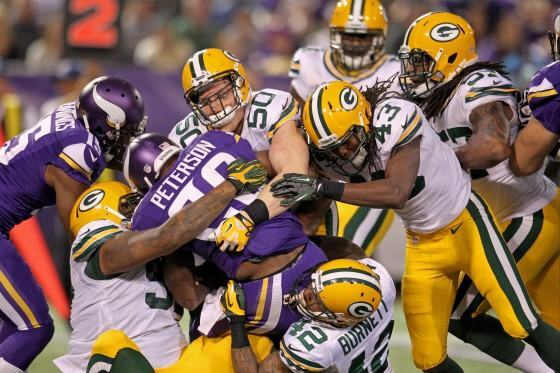 Rodgers threw for 212 yards and 2 scores – one to James Jones and the other to Randall Cobb.